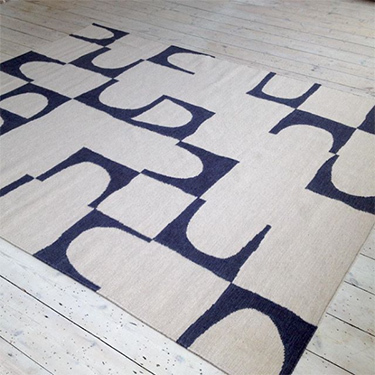 We were recently commissioned to make a custom version of our Spring Zip rug for a beautiful house in Cornwall designed by John Pardey Architects. We were delighted to receive this picture of the rug in situ, looking fab with the co-ordinating sofa and cushions. 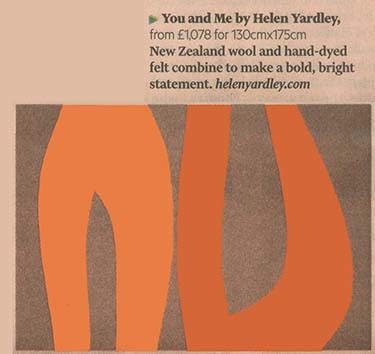 Thank you to Charlotte Abrahams for featuring You & Me in the Financial times rug feature, this deign is available as both a rug and a felt wall hanging. Please contact the studio for any further information or to view the current collection in our Bermondsey showroom. This week we were delighted to receive photos from a client of their new fitted carpet. 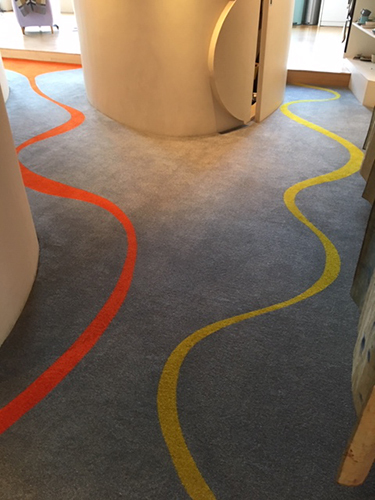 Helen designed the carpet to flow with the lines of the space, with the curves guiding you from the front door to the main living space. 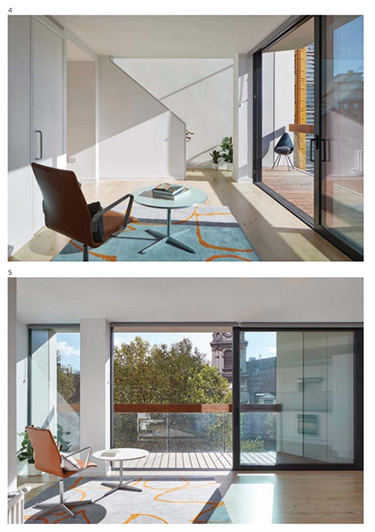 The September issue of Blueprint magazine features an article about the new White Lion House by MICA Architects, the only residential building in London’s new Centre Point development. We were delighted to spot our Force Ecart rug in two of the stunning apartment spaces, the full article can be found in the latest issue of Blueprint. 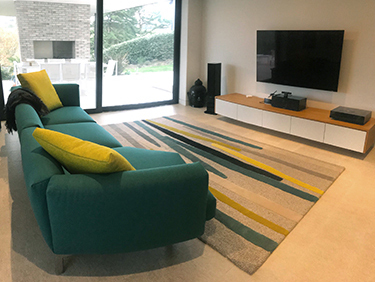 We were delighted to receive this image from a lovely client of her brand new rug in it’s new home. 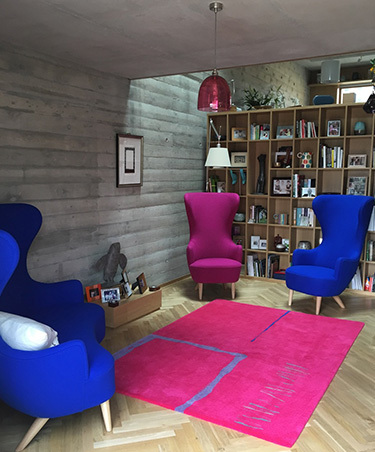 Sitting very comfortably alongside a set of Tom Dixon chairs, we love the contrast of the bright pink with the beautiful soft concrete greys. Latest commission successfully installed today, the rug formed part of a scheme by Eric Parry Architects for the Portman Estate. 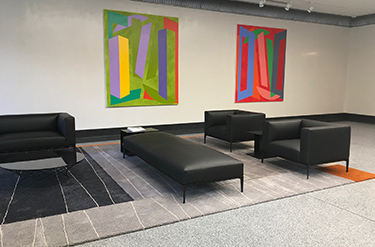 We think the space looks fantastic with the Vanessa Jackson paintings and Walter Knoll furniture. Well done Alex & Coexistence for a very classy install! 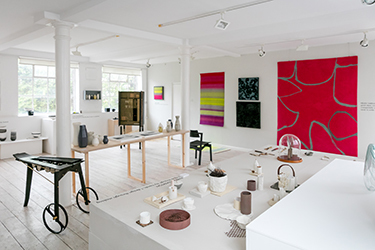 A snapshot of our showroom during the Design Nation Head, Hand & Heart exhibition for London Craft Week. We loved hosting a fantastic selection of makers for the week and are looking forward to hopefully welcoming more in the future! 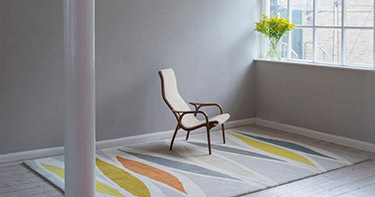 We are delighted to host Design-Nation for London Craft Week 9-12th May. Working with acclaimed design champion and writer Barbara Chandler, the exhibition will explore the theme of ‘Head, Hand and Heart’. 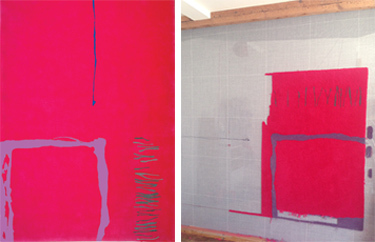 The show will range from furnishings to decorative objects, described by Barbara as “ambitious, beautiful and complex”. Explore a display of inspired and inspiring work, including furniture and marquetry from Christine Meyer-Eaglestone and Hugh Miller; ceramics by Harriet Elkerton and Linda Bloomfield; rugs by Helen Yardley and Angie Parker; interior textiles by Anna Gravelle and Jacky Puzey; glass by Clare L Wilson; and objets d’art created with textile techniques by Ruth Singer and Gizella K Warburton. 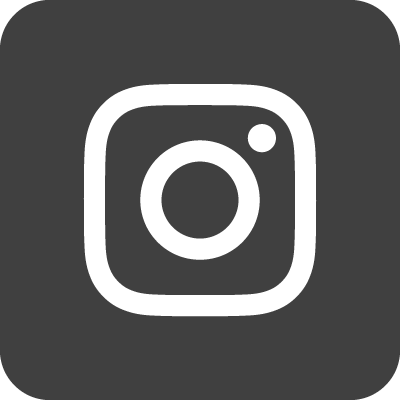 The exhibition will be complemented by a full programme of events, including demonstrations, maker talks, and a Thursday Late with special partners. 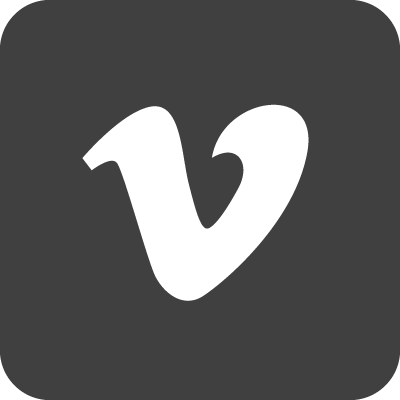 Full details can be found on the Design Nation Showcases microsite. 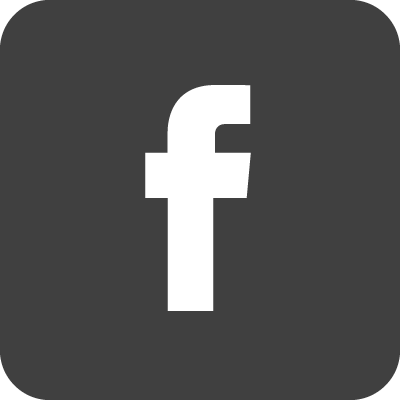 Open 11am-6 pm each day. Thursday Late on 10 May until 8pm.